Despite growing opposition and commotion, the best days are ahead for the kingdom of God and there is no need for church members to fear. Nor is there any place for prejudice, specifically racism, sexism and nationalism, the faith’s senior leaders said on the final day of its worldwide general conference Sunday. 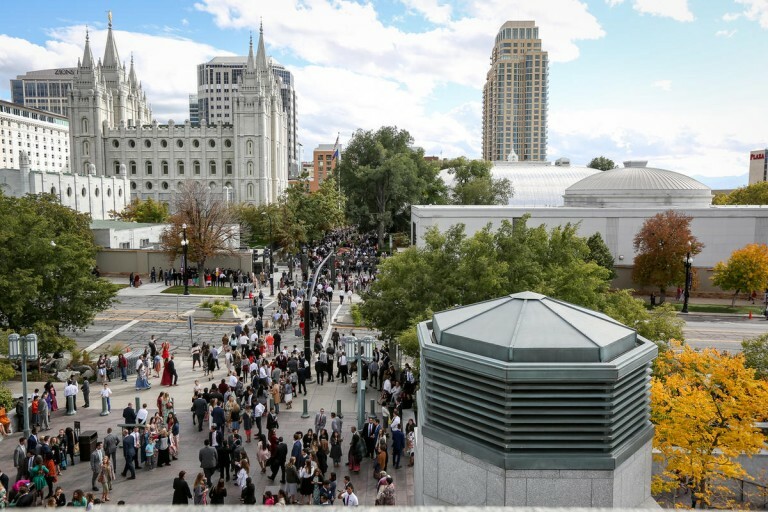 The absence of church President Thomas S. Monson and the death, between Sunday’s two sessions of long-time apostle Elder Robert D. Hales, marked the 187th Semiannual General Conference of The Church of Jesus Christ of Latter-day Saints. The final session began with a clarion call for an end to all prejudice, while the entire conference included numerous reminders of the last address by President Monson, drawing on the healing power of the Book of Mormon. He did not attend the six sessions over two weekends due to limitations incident to age. "The use of the word 'nationalism' was unfortunate." Wrong. BOTH Elders Cook and Ballard used the term - intentionally. Nationalism taken to the extreme is ultimately a disease, and SHOULD be eliminated. Kind of hurts when the Brethren pop our favorite balloon, no?